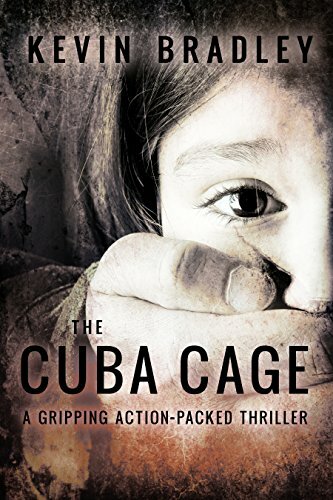 The Cuba Cage: A compelling page-turner, shocking and thrilling. Its fast pace will keep you gripped to the very end. Laura was a child, a six year old girl. She had no idea why she’d been taken, or where she was going. Luckily, she was too young to realise exactly what was about to happen to her. This is a kidnap story, but with a difference. Prepare yourself for a disturbing journey, from the dockyards of Havana to the baking heat of the Middle-East. This is a novel in the acclaimed Hedge & Cole thriller series. Cole is a tough, ex-military man. He’s the sort of person that trouble and danger seem to follow. Hedge is a reluctant hero. Plagued with anxieties and haunted by flashbacks. He's an enigma. It’s going to be their toughest assignment yet, but getting anything close to a good outcome just doesn’t seem very likely. This is not one for the faint-hearted! Kevin Bradley once again shows how to mix fast paced action, with suspense and intrigue. This novel will have you on the edge of your seat from start to finish. This book would sit well alongside your Lee Child and Michael Connelly favourites! What people are saying about The Cuba Cage.